Our organization specializes in providing a comprehensive range of PP Valve Bag to our clients as per their requirement. We offer Polypropylene Valve Bags in different sizes and colors that meet the individual requirement of our clients. 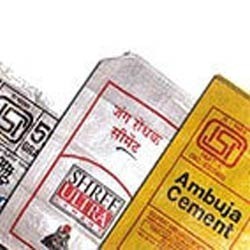 We present an exclusive range of Perforated Bags to our clients, which are extensively used for packing of cement or any other material which is hot while packing. These bags are facilitated with the perforations (small holes) that help the hot air to go out while packing the material in the bag. Furthermore, with the help of our experts, we also provide customized solution to our clients. Looking for “PP Valve Bag”?